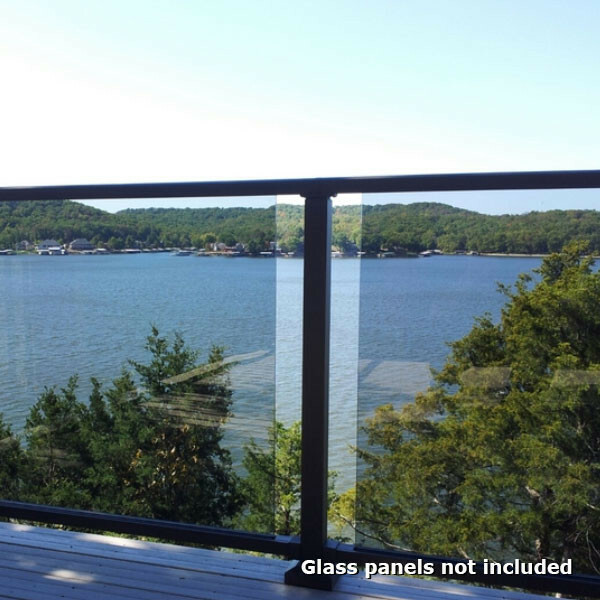 Westbury's beautiful line of high-quality aluminum railing is now available for building an outstanding glass rail system. 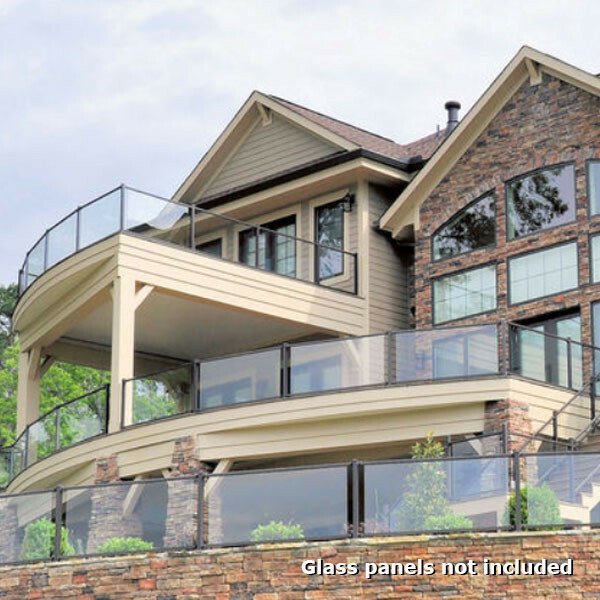 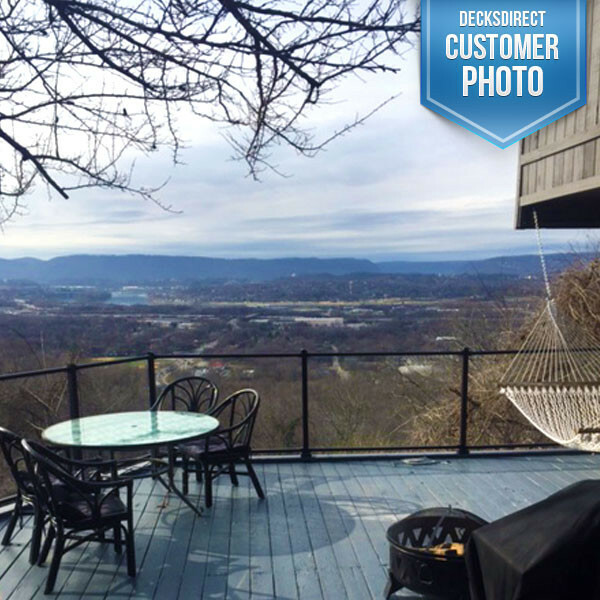 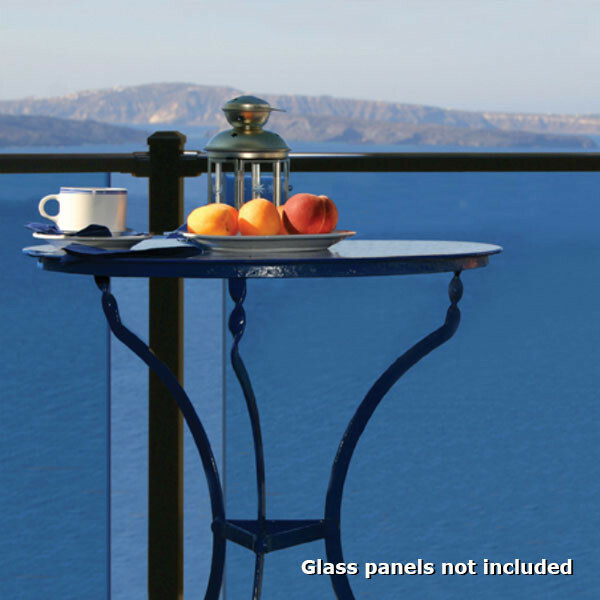 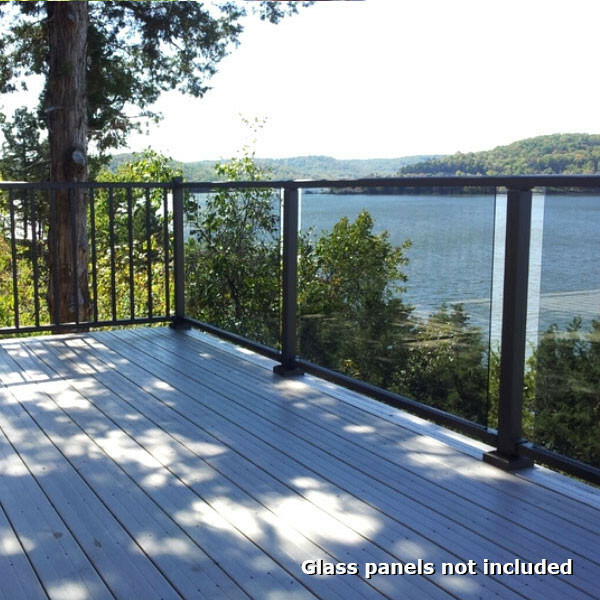 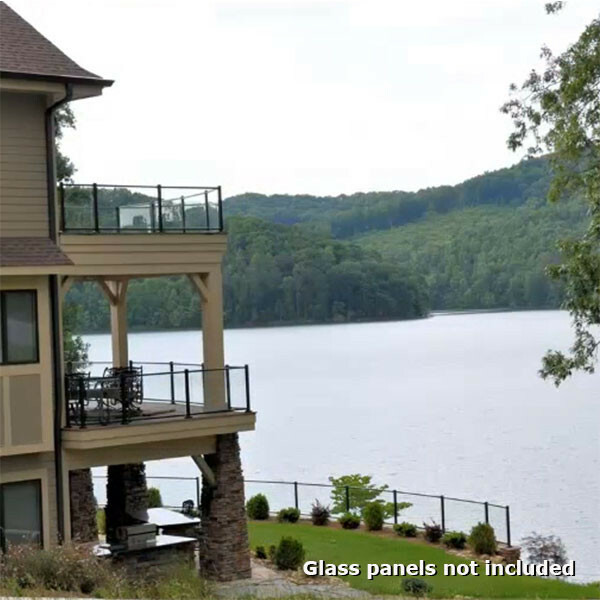 Reveal the view beyond the deck by combining tempered glass panels (not sold by DecksDirect) with the two-rail design of the Veranda system. 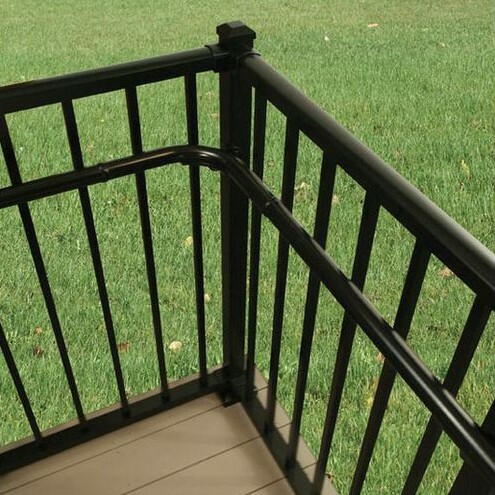 Four sturdy level brackets are included with each set of rails, which can be used to build a 36" rail or 42" rail. 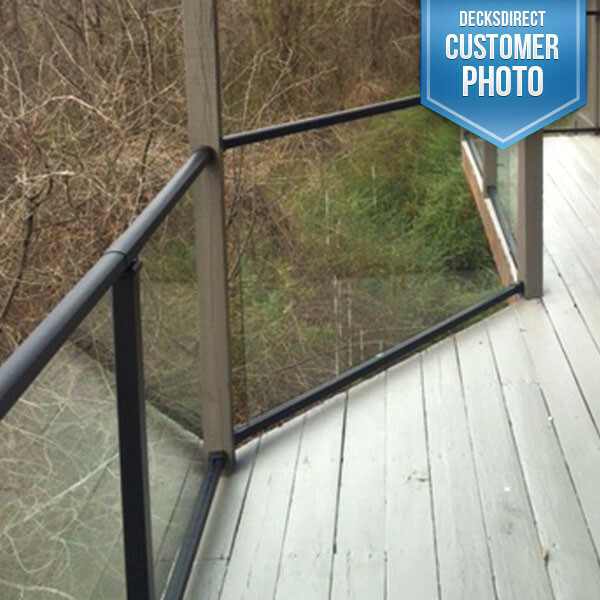 The three standard textured finishes look great with clear or tinted glass and pair nicely with rail sections of other Westbury railing lines for areas that may not need an unobstructed view. 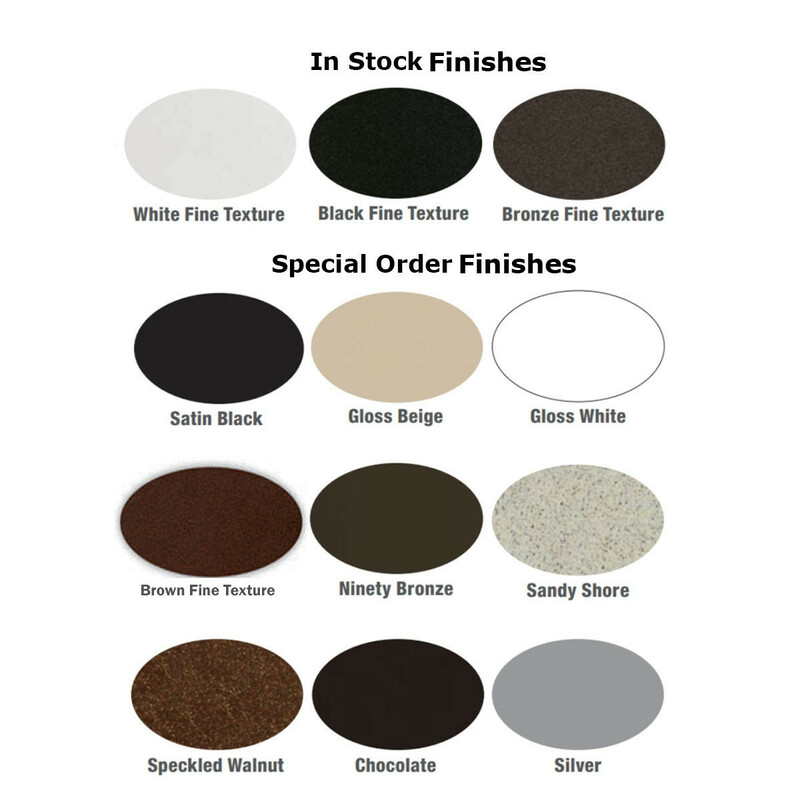 Please call us if you're interested in any of Westbury's Specialty Colors. 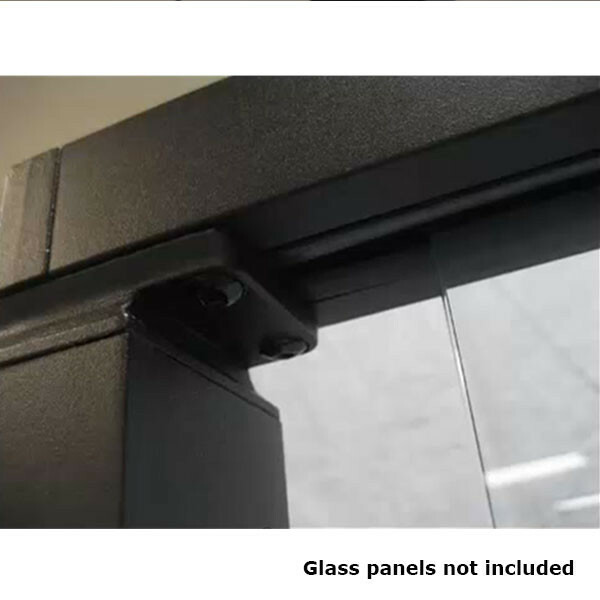 Glass panels (use 1/4" thick tempered glass) install securely inside EPDM rubber gaskets, which is the same type of rubber used for automotive windshields. 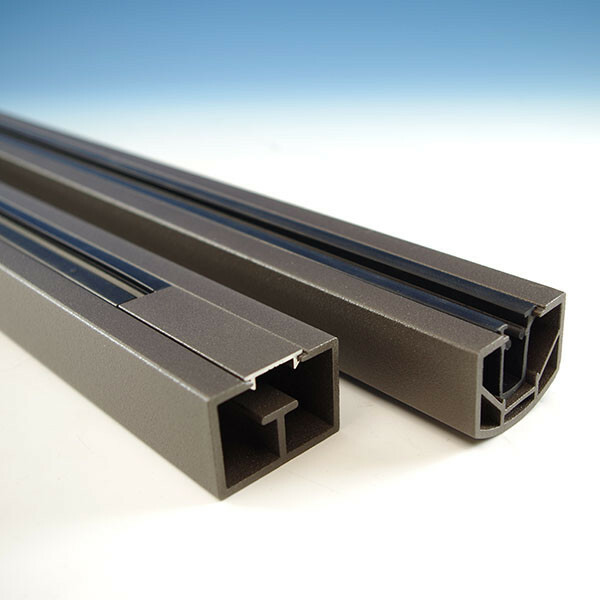 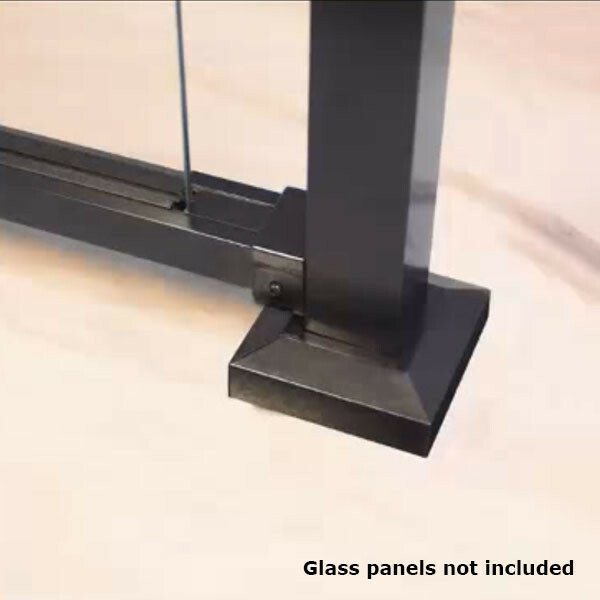 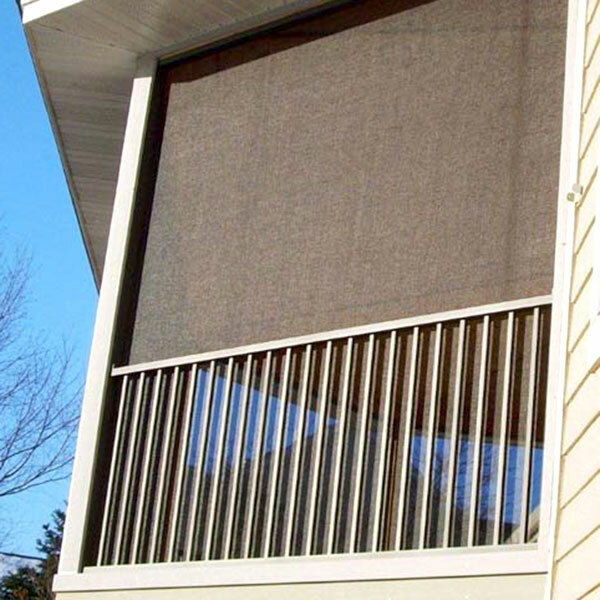 The gaskets run the length of the top and bottom rail for a secure connection and allowing 2-7/8" of open space on both ends of the glass panel when installing allows for air flow. 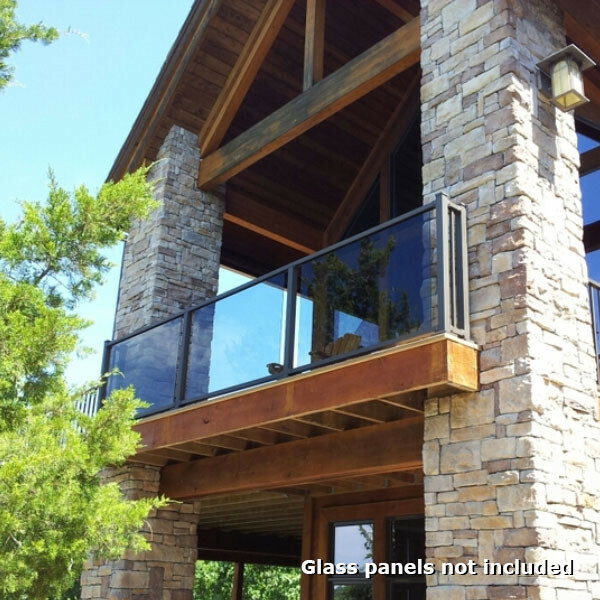 To install glass rails at an angle or for stair sections, simply purchase the appropriate bracket sets. 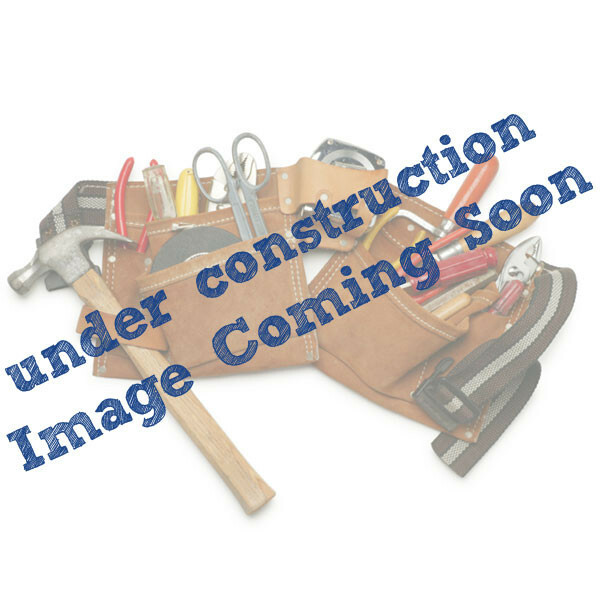 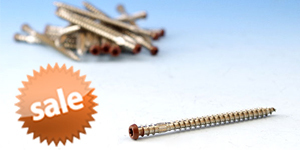 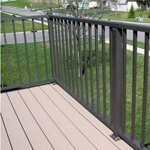 Please note that the bottom rail will be 1/2" shorter than the listed length, and the top rail will be 1-1/2" longer. 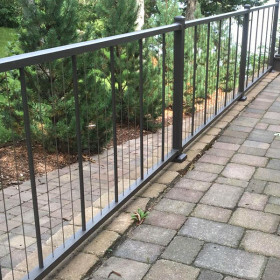 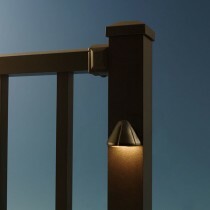 (Width x Height) Top Rail = 1-3/4" x 1-3/8"
Bottom Rail = 1-3/4" x 1-1/4"